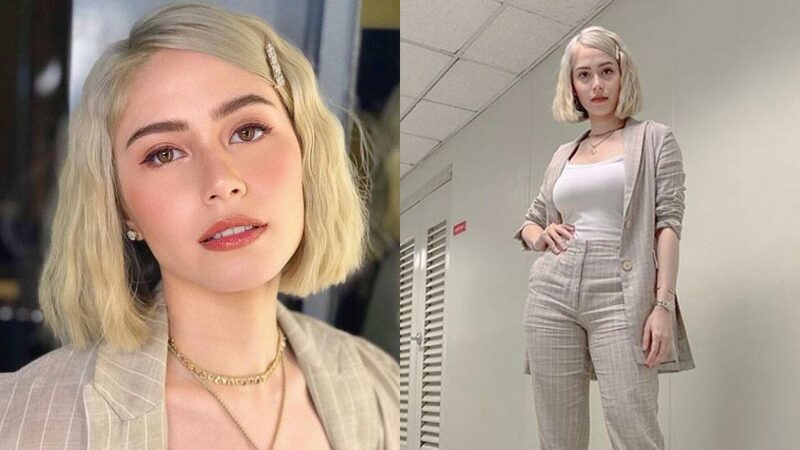 ABS-CBN actress Jessy Mendiola debuted on Instagram her platinum ice blonde hair color last April 3, Wednesday. Jessy Mendiola surprised her Instagram followers last April 3, Wednesday, with a brand new look. The 26-year-old Kapamilya actress dyed her hair blonde for the first time, and styled it in a short bob. Many of her followers, including beauty queens Miss World 2013 Megan Young and Miss Universe 2015 Pia Wurtzbach, loved Jessy's new look and left comments on her Instagram post. Now the burning questions are: What exactly is shade of her new hair? How is it achieved? PEP.ph (Philippine Entertainment Portal) got in touch with her go-to hairstylist Antonio Papa, who detailed Jessy's hair transformation. The color is a toss-up between platinum ice blonde and ash blonde. Antonio said, "So instead of going to just blonde, I told her that we can also do some platinum ice blonde and ash blonde to spice up the look. "And it ended up looking great. "She looks young and fresh like she's a new person." The process was long and tedious, so if you're thinking of getting the same color, Antono's first advice is to have a professional perform the bleaching. He explained, "Basically bleaching your hair will actually take time and should be handled by professional only. "So with Jessy, we bleached her hair 5 times, and mind you, if you bleach you hair this much, it might damage your hair especially if your hair strands are thin like Jessy's. "So after bleaching, comes the actual process of hair coloring." Jessy had her hair dyed at Antionio's salon in Bulacan. "Hairstyle by Antonio Papa is my newly opened hair salon located in Balagtas, Bulacan. "You can check us out on Facebook and instagram @hairstylebyantoniopapa." Bleaching strips the hair of its natural oils, and weakens the cuticle scales. Hence, so as not to damage Jessy's hair, Antonio used hair masks after every process. He told PEP.ph, "We already know that bleaching can damage hair so we use Lakme's i.Plex to protect Jessy's hair. "I love this product because it deeply repairs and protects the hair, and it prolongs in-salon treatments. "We use this in between and after the treatment so your hair is protected, safe, and will look healthy and natural after the process." The hairstylist also stressed the importance of using the right products—especially shampoo and conditioner—after the bleaching process. 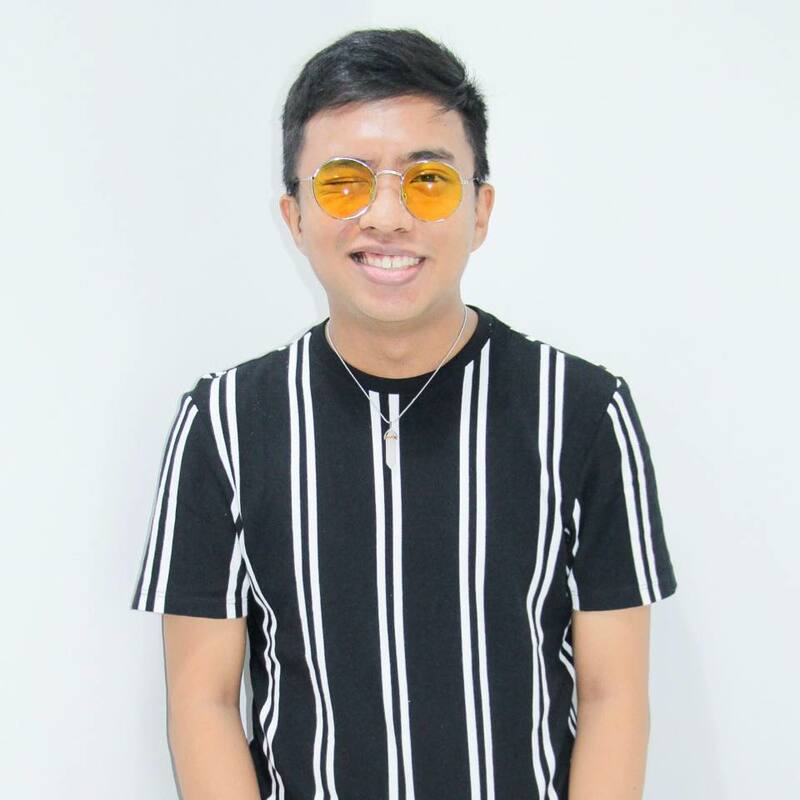 He said, "Most Filipinos have thick black hair, but basically taking care of your hair is a must for everyone especially now that it's summer. "Choosing the right hair product depending on the texture of your hair is the key. "Humidity will make you sweat so you'd probably will be washing your hair daily, so I suggest you should use gentle shampoo and conditioner that also protect your hair color from UV rays to prevent it from fading." For the last step, Antionio suggested using a leave-on product. He said, "You can also put some overnight serum to maintain the moisture of your hair." The celebrity hairstylist said it was the actress' preference to go blonde. "Actually this is all Jessy's vision. I'm just a fairy godmother that made it all come true. "But of course, we also consider if there will be conflicts with this look on her current projects or any upcoming, since there is none as of the moment then that's when we decided to give it a go. "So, whenever she shows me a peg for a hairstyle, I always tell her how we can make it look more fresh and new, and with her approval then that would be the time for me to do the magic."